Great things come in smaller packages… and even smaller prices! 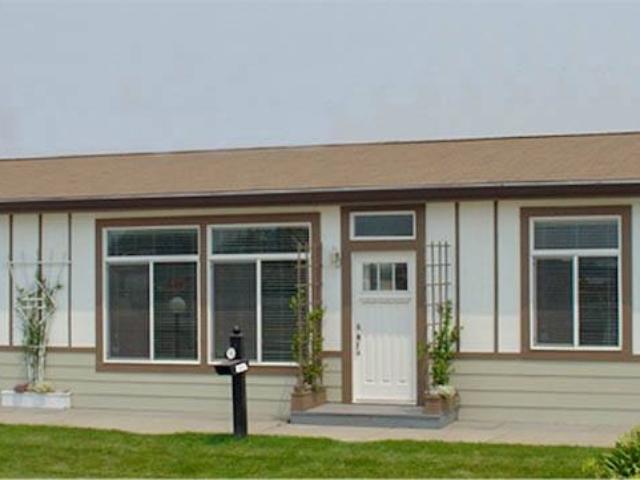 The Colusa Cottage is just a little under 1200 square feet, but it has a big heart, big value, and you’ll find it “feels” much bigger than other homes in its price range! 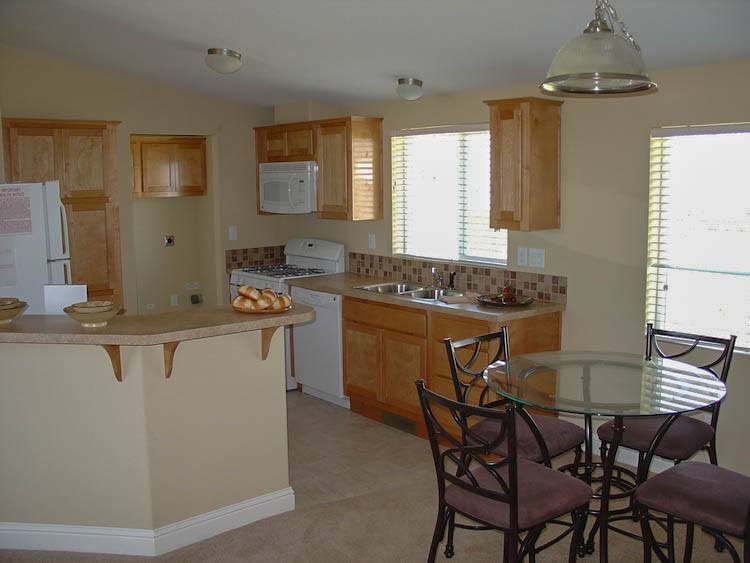 When you enter the Colusa Cottage, there is an open living room/dining room with a snack bar counter kitchen. 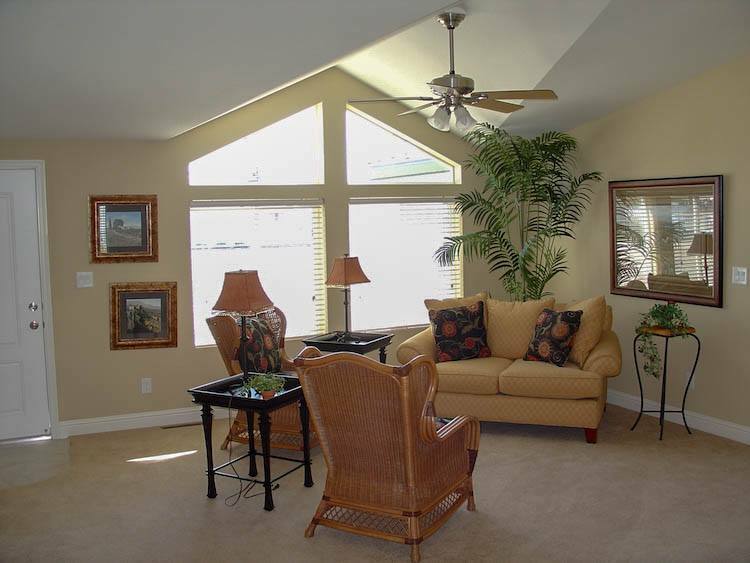 The 2-tone paint and high flat ceiling really give it a roomy feel, and you’ll be glad to know the space can accommodate “real sized” furniture! The kitchen is very cozy, with charming hardwood cabinet storage, abundant counter space, and all the modern conveniences. 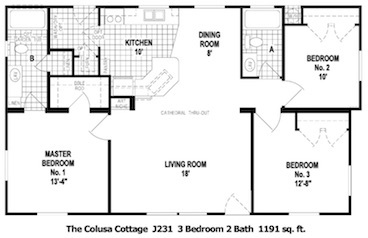 You’ll also be glad to know bedroom size was not compromised in the design of the Colusa Cottage. 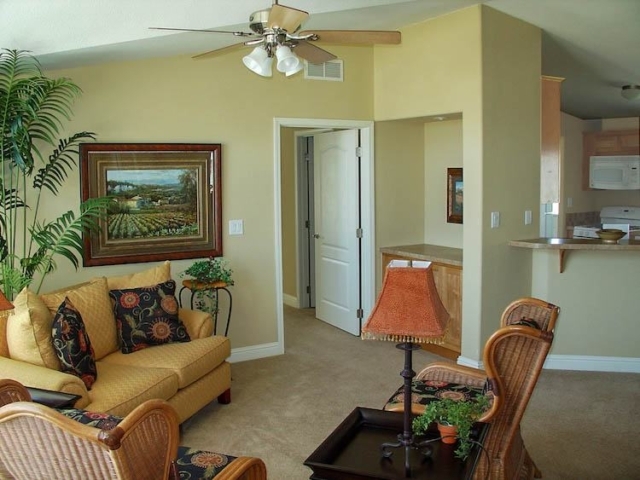 The master bed is very roomy and leads into a master bath with a 60 inch walk-in shower! The remaining bedrooms are fairly spacious, too and, if you choose, can be converted into an office, den or additional storage! Of course, most people comment on the charming exterior treatment of the Cottage. Double stacked windows and special exterior accents add a wonderful curb appeal and make this home look very residential for very little cost. 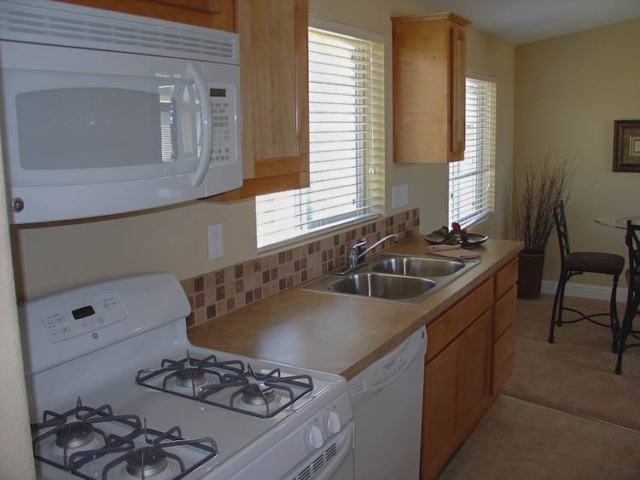 Colusa Cottage homeowners often use the home as a second dwelling on their property or as a first time home since the price is unbeatable and it’s so cozy! If you’re looking for a low maintenance, affordable home that still has the charm and features you’re accustomed to, ask us about The Colusa Cottage.